September 15th is Puppy Mill Awareness Day. Started by Last Chance for Animals and other animal activists, Puppy Mill Awareness Day (PMAD) takes place every September to spread awareness of the sad truth behind the puppy mill industry and encourage the public to adopt – not purchase –companion animals. PMAD started in Lancaster, Pennsylvania in 2004, and now animal advocates across the United States join forces on this day by holding protests, organizing adoption events, and leading marches or walks. Anyone can hold a PMAD event in their hometown. For an extensive list of ways you can participate in your community, CLICK HERE. Puppy mills are commercial dog breeding facilities. 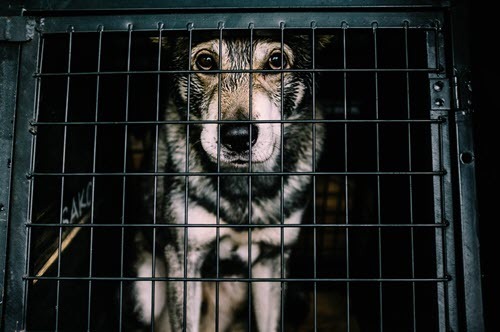 Every year, more than 2 million puppies are bred in puppy mills and sold for profit, despite the overcrowding in animal shelters and severe overpopulation of dogs. Dogs in puppy mills are kept in cramped, filthy conditions and may have inadequate food, water, and medical care. Many of the breeder females are bred to death. They give birth to litter after litter and eventually become so beaten down that they cannot conceive anymore. At this point, they are usually killed, since they are no longer able to make their owner money. Puppies are sold to pet stores as young as 8 weeks old, many times with false paperwork and diseases yet to be discovered. Illnesses are frequently overlooked, and animal health documents are easily modified. FCVC hopes that you found this information about Puppy Mill Awareness Day enlightening. You can find many pets available for adoption from local shelters like the Larimer Humane Society or Weld County Humane Society or many other rescue facilities. You can tap into finding animals from over 17,000 facilities in the US by using the Adopt-a-Pet widget on our home page or going here – Adopt A Pet Search. Attribution – from our friends at (Puppy Mill) Awareness Day.org, Last Chance Animal.org and the National Puppy Mill Project.